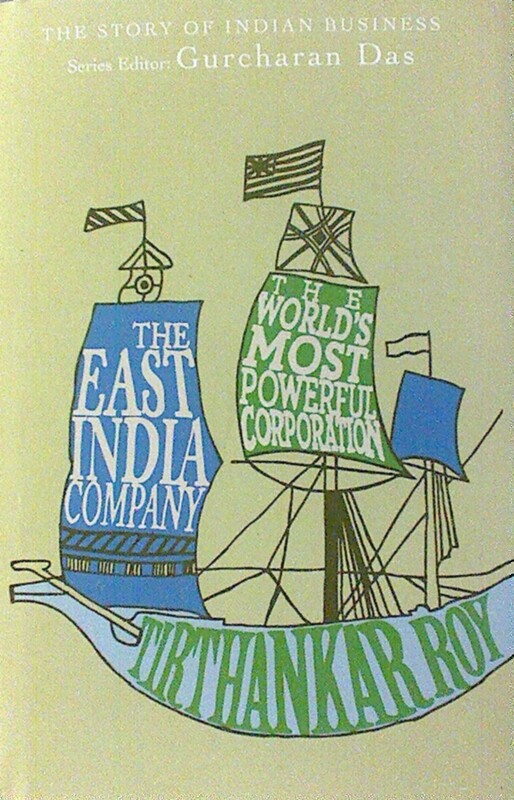 THE EAST INDIA COMPANY - the world's most powerful corporation by Tirthankar Roy (2012) Allen Pane - an imprint of Penguin Books, p 237. While doing graduation we had a paper entitled 'Economic Resources' and the teacher (Dr KC Jaiswal) who taught us that course was an alumnus of Allahabad University and Lucknow University, and student of Prof JK Mehta (of Allahabad Univ). I have no hesitation in admitting that it was he who pushed me into teaching profession. I never thought that I would lead a career in teaching. Anyways, he used to tell us 'India is a rich country but its residents are poor'. We grew up with this thinking that India was a country which had surplus milk production, huge exporting country for textiles and spices, and strong mineral bases apart from rich cultural heritage. It is true that during the middle of the 17th century India contributed to around one fourth of world manufacturing output which went down to around 3 percent by middle of 19th century. These two hundred years contributed to the fall of India as a manufacturing hub as well as destroyed the institutions. We all know that the major role was played by the erstwhile known as the world's most powerful corporation - The East India Company. We have grown with very many stories about The East India Company (EIC). In the series of The Story of Indian Business, an acclaimed scholar of the business history at London School of Economics, Tirthankar Roy brings this book with rich historical narrative, telling the tale of the rise and fall of EIC and its role in controlling the resources available on the soil of Indian subcontinent. The EIC was formed in 1600 in London by a group of merchants, mariners, explorers and politicians to finance the trading voyages to India, China and Southeast Asia. It is quite evident from the book that the author has gone through the documentation of several voyages of this company into the Indian subcontinent and cross verified them through the literature available, both in highly acclaimed academic journals as well as popular writings of the time. The journey of the company (from a trader to an empire builder), its patronage by the British royalty (the Crown) through assent by charter, its profiteering endeavors, internal quarrels, its selfish relationships with the local rulers in India have been very well narrated in the book which makes it an authentic tribute to the business history of India. The most experienced Company officer in Bengal at the time was Job Charnock (1630-93). Charnock had served the Company in India for thirty years. He started his career in Hajipur and Patna, where he procured saltpetre, needed in England as raw material for gunpowder. In Patna, Charnock married an Indian widow said to have been rescued from burning herself on her husband’s funeral pyre and had three children by her. While in Patna, he began to dress in Indian costumes, a habit that lasted lifelong, and learnt to speak fluent Persian and Hindustani. In 1669, he moved to the Bengal establishment in Hooghly where he was the fifth in the hierarchy of factors. In 1685, he became the second in command in Bengal. The book is full of such stories of the officers, factors, and staffers who played important role in the EIC. It was a learning experience through the book that the EIC had allowed its employees to run their business individually apart from working with the company. At times it raised suspicion over the integrity of employees. There were cases where the individuals benefited much more than the company. With this legacy we also witness at present some of the employees of the companies in India following this trend at the cost of loss to their pay masters. As the communication with the Crown was not very fast, much of the things were not reported and at many times the factors (employees) used to make their own empire at the cost of the EIC. Europe had a good market for the Eastern Spices, Chinese Tea, and Indian Cotton, which was capitalized by the EIC into its advantage primarily. The objective of the company was never to rule this part of the world, however during the course of doing business and exploiting their relationships with the rulers and enjoying a strong patronage of the British government, it realized that it was possible for them to spread their wings and through initiatives of expansion beyond the coastal towns and into the courts of the kings and markets of the mainstream India of that time, it started actively learning the nuances of controlling power through a back door. From 1833, the Company ceased to exist as a trading body. It existed as an administrator of India in partnership with the Crown (p 200). It was in 1858 when British government assumed direct control of India. There were instances when the Crown was not happy with the functioning of the EIC and there were cases when many of the officers were called and punished in different ways. As the book is written on the EIC, it does not go further from here. As Tirthankar also writes in the book, though there are many people who have written on the business history of India and the functioning of East India Company, there is much little literature on the contribution of the EIC in the thinking of organization and institution building, my understanding is also on the same line. The organizational practices as to hierarchy, delegation, division of work, communication, inter-personal and inter-group relationship, etc have not been explored. I have reasons to believe that the practices followed by the EIC must have impacted the functioning of other organizations operating at that time as well as the ones which were established in the later years. This is still required to be explored with evident authenticity. The book is divided in 10 chapters and there are some historic pictures and maps which help the reader to refer and preempt the prevailing conditions during that period. A detailed foreword by Gurcharan Das makes the book more important and authoritative. Timeline is put towards the end of the book which provides a chronology of events which took place during the working of the EIC in India. A detailed bibliography provides a rich source of references. The book is written in a story telling style which keeps the reader attentive and inquisitive towards the next part of the book. I strongly recommend this title for the minds which are interested in learning Indian business history and the functioning of one of the world’s most powerful corporation.